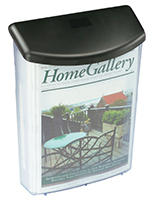 This exterior plastic flyer box is a 10.25" x 14" weatherproof wall mount fixture that comes with screws and zip ties for mounting on walls or uprights. 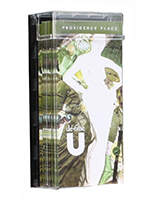 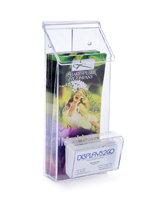 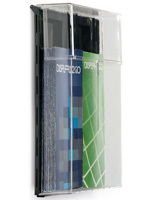 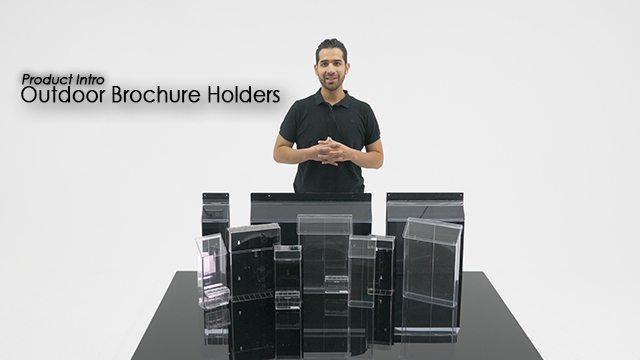 Each versatile lightweight literature display is made of ultra-thin, flexible 0.030" (0.635mm) plastic for economy. 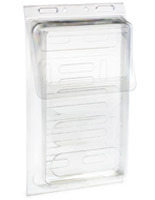 The clear molded plastic flyer box for outdoor use features a self-closing lid that keeps moisture from entering the single-pocket container. 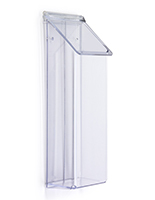 This type of leaflet or ballot box is ideal for real estate agents to allow customers to take away information stored outside. 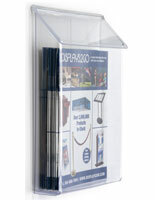 A waterproofe plastic flyer box is also highly useful for companies who require information to be dropped off. 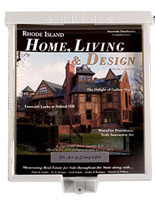 This acrylic ballot or real estate catalog box comes with a clear sticker with the words "Take One" in Red for optional use.